Yes please. Smokey, crisp bacon and melted cheddar on a mountain of fries! Our french fries smothered in melted cheese. Moist, all white meat chicken prepared from scratch (our secret recipe). It’s a Little Lou’s favorite! Served by the pound. The perfect combination of crisp, shredded cabbage, chopped carrots and our slaw dressing. Served by the pound. A refreshing blend of chopped cucumber, onion and summer spices. Seasonal only. Served by the pound. 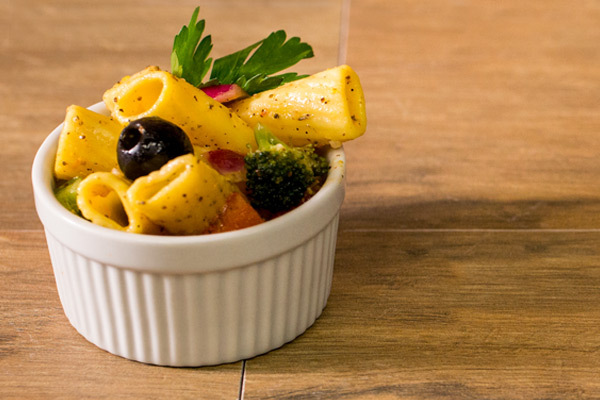 Tender macaroni pasta tossed in our signature dressing and served chilled. Served by the pound. Crispy fries sprinkled with Old Bay seasoning. Breaded and deep fried onion. Served with dipping sauce of your choice. 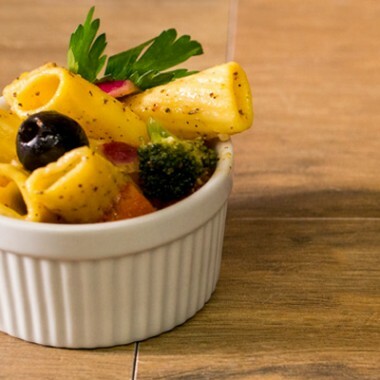 Tender pasta loaded with veggies, tossed in our homemade dressing and served chilled. Served by the pound. Our golden fries topped in marinara and melted mozzarella. That’s amore. 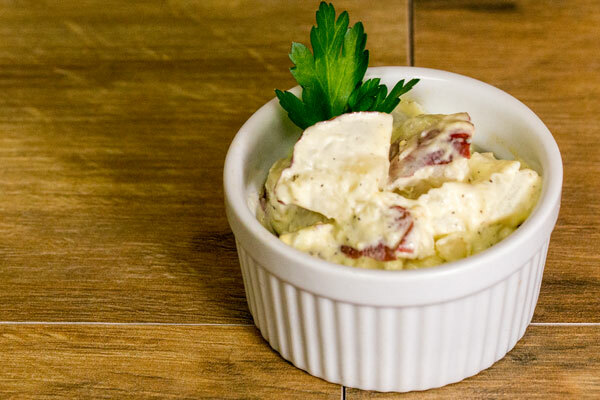 Steamed potatoes, diced with hard boiled egg and tossed in a blend of dressing and spices and served chilled. Served by the pound. Succulent shrimp seasoned and combined with our homemade macaroni salad. Served by the pound. Shrimp, mayo, celery, Old Bay and other spices. #1 BEST SELLER! Served by the pound. Wedged potatoes fried until golden brown. 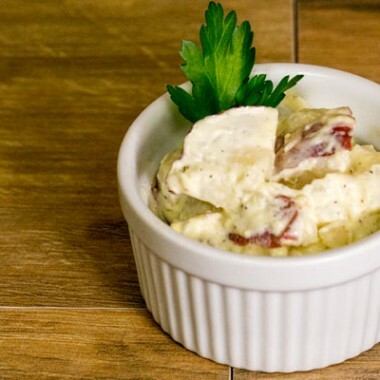 Red potatoes steamed until tender and tossed in our special herb butter sauce. Albacore tuna, mayo, celery and spices. Served by the pound. A local favorite. Ask for our assorted flavors. Available in small or large bags.